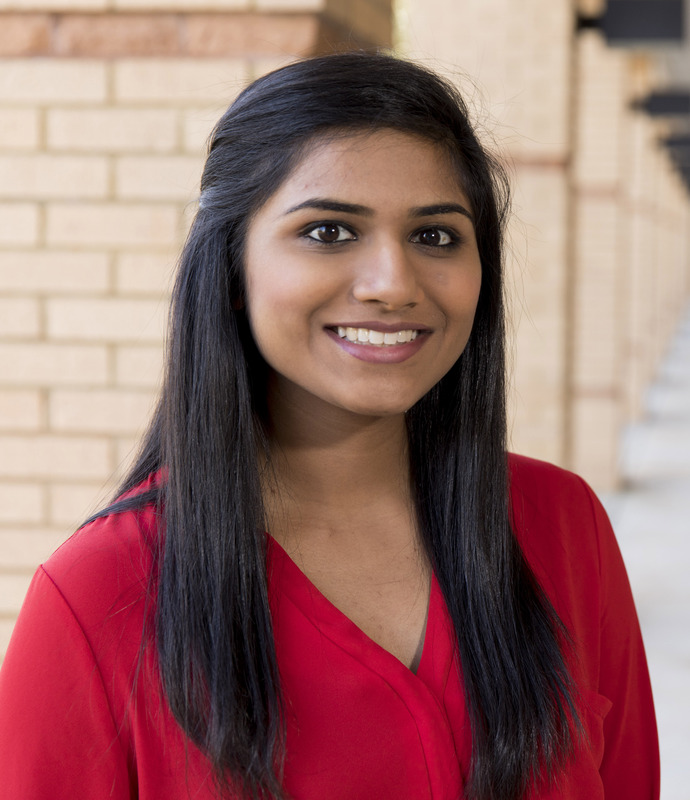 Ramsey Scholar Manasa Kadiyala’s passion is to help people achieve their goals as they strive to be the best version of themselves, and she has already done that from interning in a health care clinic in Tanzania to starting an education program in the local jail. I’ve been working part time for Kaplan for the past few years as a pre-college instructor and tutor for high school students. Teaching the SAT, ACT and PSAT standardized exams requires me to constantly stay updated on the changes of the tests in order to accurately educate my students and help them obtain their goal scores. None. I am the first Dawg but definitely will not be the last! I think I’ve done a pretty good job of instilling Bulldog pride and loyalty in the rest of my family. If someone told me I would be able to do everything that I have done in my three years at the University of Georgia, I probably would have thought they were crazy. These past few years have changed my perception on life and shaped me to become the confident individual that I am today. Freshman year I was overwhelmed by all the clubs and activities constantly happening around campus. My first semester I joined many clubs that I found interesting and helped me get out of my comfort zone. Toward the end, I began researching with Dr. James Michael Pierce at the Complex Carbohydrate Research Center. My projects in this cancer glycobiology lab focused on identifying specific epitopes that monoclonal antibodies bind to in pancreatic cancer cells and determining the impact of O-GlcNAc transferase (OGT) knockdown on oncogene expression. 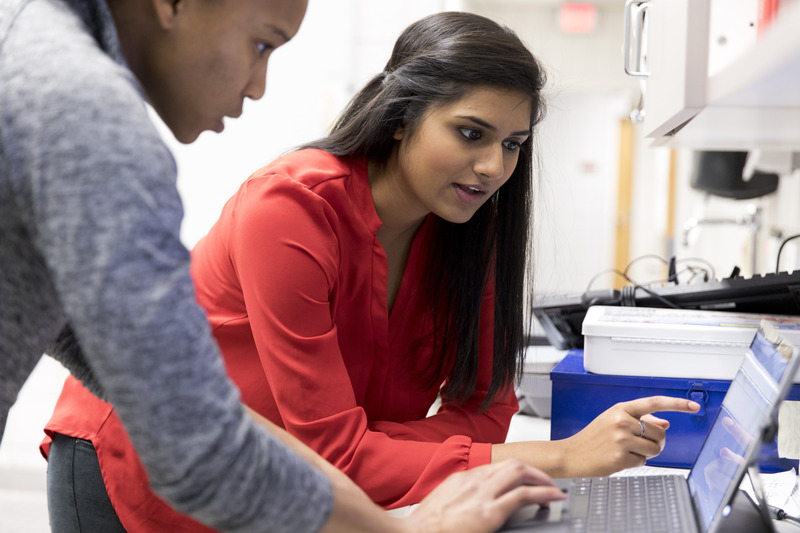 I received the CURO Summer Fellowship to engage in intensive research in this laboratory, and it really helped me jump-start my career in research. Coming into college with no previous research experience, I knew there would be a huge learning curve, and the knowledge and skills I have gained here have exposed me to basic laboratory techniques that I have been able to refine over the years. That summer I traveled to Arusha, Tanzania, with a friend to intern at a free maternity health clinic. Finding the program online, we weren’t sure about how safe it would be or how much experience it would provide, but we decided to take a risk and go anyways. Looking back, it was definitely a one-of-a-kind experience in the foreign country. We hand washed our own clothes and had running water for at best a few hours a day; air conditioning was a luxury we certainly did not have. At the clinic, we filled out patient cards for newborn babies, giving us a chance to practice our broken Swahili with the mothers. We shadowed physicians in various departments including family planning, prenatal care and outpatient care. One of the most memorable parts was observing two deliveries and holding the newborn baby in my arms to deliver to the new mother, a precious moment I cherish to this day. In early fall 2016, a close friend and I met with local prison officials at the Athens-Clarke County Correctional Institution to start a program in which UGA students help inmates obtain their GED and other vocational training to improve their job prospects and financial security when released. After several weeks of meetings and paperwork, we were ready to begin. At first, it was just the both of us tutoring around three to four students every week. For each class we created a personalized curriculum with various supplemental materials that we felt would most effectively convey the standardized exam information to the inmates. Toward the end of the semester, our numbers started climbing as there were more than 10 inmates per class. Due to this rise in interest, we began recruiting more UGA students to help us out. So far, we have had 12 inmates successfully pass the exam and obtain their GED, and our club, Athens Prison Tutorial, has over 20 undergraduate students and faculty members committed to improving the lives and careers of this underserved population. What started out as merely trying to help the incarcerated in Georgia quickly transformed into an earnest love for teaching and a deeper sense of connection and engagement with my surrounding community, one that is going to be very difficult to leave behind. This past summer I had the opportunity to pursue a medical internship in Thailand through Friends for Asia as an Honors International Scholars Program recipient. Shadowing physicians in the departments of surgery, internal medicine, family medicine and orthopedics, I was able to observe and compare the different health care practices in Thailand to those in the United States. After Thailand, I returned to the States as a research intern at the New York University School of Medicine in Dr. Philipp Leucht’s laboratory, which focuses on optimizing fracture repair and bone regeneration in older adults. Through the New York University Summer Undergraduate Research Program (NYU SURP), I gained experience in translational research and grew exponentially as a research scientist. The program also offered me the chance to shadow physicians in New York City, which was amazing because it has such a diverse patient population. I observed two emergency physicians at Ronald O. Perelman Department of Emergency Medicine and was surprised at how different patient care was within the United States. My faculty mentors and program coordinators were extremely helpful and approachable during my time there and remain heavily invested in my individual and professional growth today. At the beginning of my junior year, I joined Dr. Kevin McCully’s lab in the department of kinesiology. The lab develops noninvasive methods of measuring skeletal muscle and vascular function to more effectively determine the role exercise plays in leading to chronic diseases and injuries. My project involves testing skeletal muscle mitochondrial capacity and muscle endurance in individuals diagnosed with Type 1 diabetes. I am also an ambassador for the UGA Office of Admissions through the Georgia Recruitment Team, a volunteer at Mercy Health Clinic and an Honors Ambassador. Since freshman year, I have been part of Biochemistry Undergraduate Society as the chair of student relations, organizing informational and interactive events for students and faculty. Other organizations I have been a member of include Refugee Outreach at UGA, AIESEC and Indian Cultural Exchange (ICE). Everything I have been able to do goes to show the endless opportunities the University of Georgia has to provide its students. From trying fried crickets in Thailand to climbing Mount Kilimanjaro in Tanzania and backpacking across Europe with some of my closest friends, my time at UGA has been nothing short of incredible. The advisors, teachers, students and faculty all work hard to make this school what it is today and are the reason I would choose to go to this school again and again if I could. … of the unparalleled opportunities and experiences it has to offer. As a Bernard Ramsey Honors Scholar, I’ve been fortunate to be a member of a tight-knit community of peers and faculty advisors who are some of my closest friends and mentors today. I never thought I would be able to do some of the things I’ve done during my undergraduate years, including traveling to more countries in these first few years than I have in my entire life. … catch up with friends in Moore College and eat at the dining halls (really should’ve taken more advantage of the unlimited meal plan my freshman year). If it’s not raining or freezing outside, I also love going on a run or walk around campus and making my friends come along! Every time I’m on campus and see familiar faces, I am reminded of how big it is and how lucky I am to go to this university. … to spend time with my friends, whether that involves going to dinner at a new local restaurant or just sitting on the floor of my living room crying of laughter. I love going to the gym, especially Zumba classes (or any type of dance, really! ), surfing the internet, listening to podcasts, and finding new music to listen to. … climb Trolltunga in Norway with a group of my closest friends the summer after my freshman year. We were all running on three hours of sleep for this 12-hour hike that we were about to embark on without a tour guide. Our heavy backpacks were full of gallon-sized bags of granola, tortillas and Nutella — our sustenance for the trip. Despite the icy snow and slippery slopes, half of us were wearing basic running shoes, including me, and a light rain jacket. To this day, I still wonder how I completed the hike, but this experience is another testament to the motivating and exceptional friends that I have made here at the University of Georgia. I like to study in my room most of the time. But if I’m studying with friends, I love the Google room on the fourth floor of the UGA main library. You can write all over the walls, and I enjoy the quiet atmosphere and colorful aesthetic of the room. Every person I have met during my time in college has impacted my life one way or another, and the professors here are no exception. I am extremely fortunate to have faculty mentors who are willing to help me reach my professional and academic goals. Dr. James Michael Pierce was my first faculty mentor here and has done everything possible to help me pursue my research interests. From teaching me the basics of laboratory research to writing many, many recommendations for various programs and scholarships, he has always been encouraging. Sometimes I go to his office just to talk to him because there’s so much to learn from him and his journey to get to where he is today. Dr. Claiborne Glover teaches the first semester of the “Introduction to Biochemistry” sequence and is one of the most patient and caring professors I have ever had. His genuine passion for biochemistry and love for his students are apparent in every single one of our interactions. His positive encouragement and help with my academic pursuits has played a large role in helping me to get to where I am today. Dr. Sarah Shannon taught the criminology class I took last semester, and it has been one of my favorite classes so far. She combines lectures on different criminological theories with episodes of “The Wire” to give her students more perspective on crime in today’s society. She has also served as a helpful resource for the prison tutoring club that I am part of and leads an “Inside Out” class of her own at the jail — I highly recommend taking it! Her positive nature and passion for what she does are what make her an exceptional professor. Jessica Hunt and Emily Myers of the Honors Program have been constant sources of encouragement since my first day at the University of Georgia. Their dedication and willingness to help us succeed are the reason we have been able to do everything we have. … Martin Luther King Jr. Not just because we share the same initials but his monumental work is inspiring to people of any age. The bravery and courage he demonstrated in fighting for what he knew was right despite the insults and consequences is unbelievable as is his unrelenting positive attitude. His faith in humanity and use of nonviolence are virtues I aspire to follow every day. … learn how to do a backflip. It’s a feat I’ve been trying to accomplish since freshman year, spending many hours at Ramsey and on Myers Quad and even signing up for adult tumbling lessons at the local gymnastics place in Oconee County! I still have faith that I’ll lock it down some time in the near future! … train enough doctors to serve those in regions around the world with limited access to health care services and skilled medical personnel. Across the globe, numerous countries are in dire need of physicians and nurses to perform basic procedures such as deliveries and vaccinations, a condition health care should not be in. By 2030, the global shortage of health care professionals is estimated to be over 14 million with Southeast Asia and Africa being the most affected. My passion is helping individuals achieve their goals as they strive to be the best version of themselves. Whether this is through assisting them in obtaining their GED to have improved job and economic prospects or caring for their health, I want to have a positive impact in the community around me. Pursuing a career in health care, I hope to play a role in helping individuals stay healthy — physically, mentally and emotionally — so that they can always be at their best! … spend time with my family and close friends before they go out into the real world to do big things. Then, hopefully, I will be attending medical school in fall 2019 to begin the long and exciting journey to becoming a physician. … snellebrating! After midnight, Snelling Dining Commons has breakfast food, which is my absolute favorite! Even at the odd hours of night, the staff always manage to have smiling faces and positive attitudes, and the eggs taste even better than usual. My friends and I used to snellebrate all the time freshman year, whether we were frantically trying to finish the post-lab report for “Organic Chemistry” or just wanted to hang out. Plus, what’s better than food and friends!